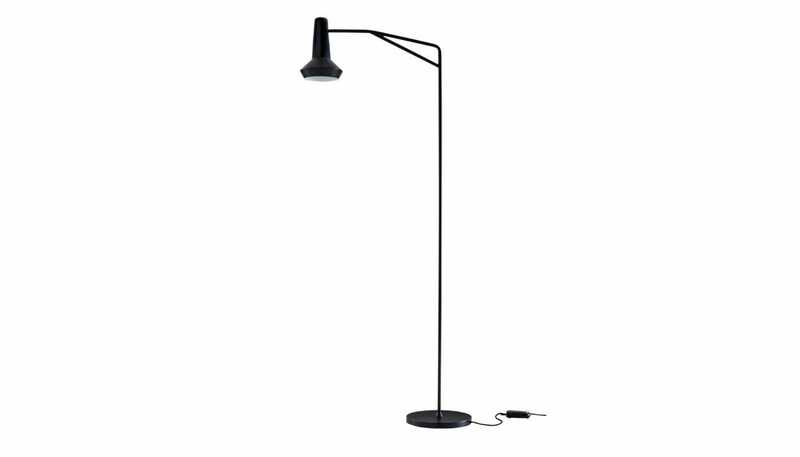 Base in steel and lampshade in matte black lacquered aluminum. Black textile electrical cord. Black foot dimmer. The lampshade is adjustable from the vertical position (bulb faces down) to almost horizontal (bulb almost horizontal) about 75°. What's more when vertical, rotation is possible through 330°.